Linda is a Director in the Firm and responsible for Government Audit Services. She specializes in financial statement and single audits of municipalities and not-for-profit organizations. 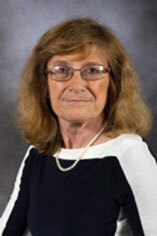 Linda has nearly thirty years of experience in auditing, tax, and accounting. She was a Partner at Sedore & Company, P.C. Now, Sedore has joined with two other respected Firms to form RBT CPAs, LLP. She has earned the AICPA Governmental/Not-for-profit Accounting & Auditing Certificate of Achievement and she is also a graduate of Leadership Dutchess. Finance statements and audits of municipalities & not-for-profit organizations. Accounting and consulting services for municipalities and not-for-profit organizations.